Ideal for the newcomer to coding computer programs, including youngsters needing to learn programming basics for the school curriculum. Learn how to write code to create your own computer programs - in easy steps! Coding for Beginners in easy steps has an easy-to-follow style that will appeal to anyone, of any age, who wants to begin coding computer programs. You need have no previous knowledge of any computer programming language so it's ideal for the newcomer, including youngsters needing to learn programming basics for the school curriculum. 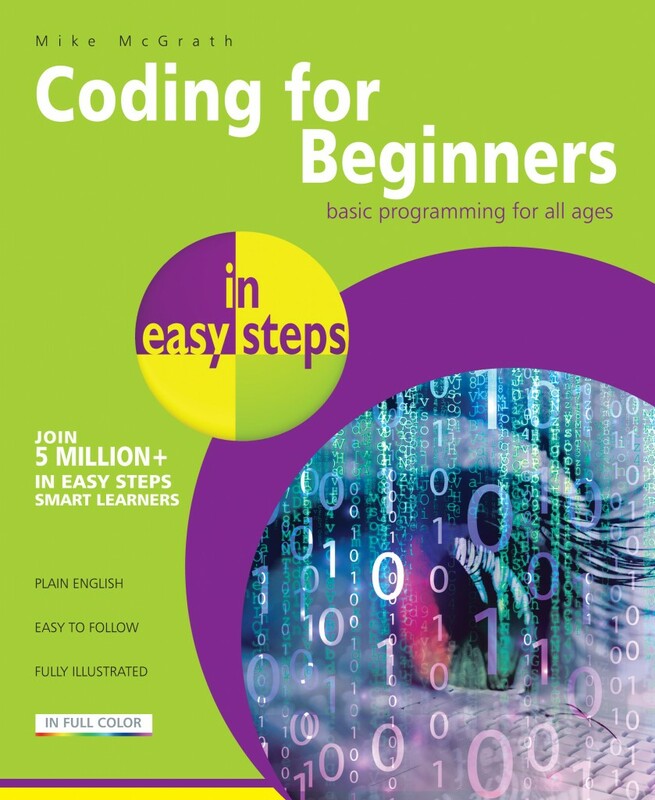 Coding for Beginners in easy steps instructs you how to write code to create your own computer programs. It contains separate chapters demonstrating how to store information in data structures, how to control program flow using control structures, and how to create re-usable blocks of code in program functions. 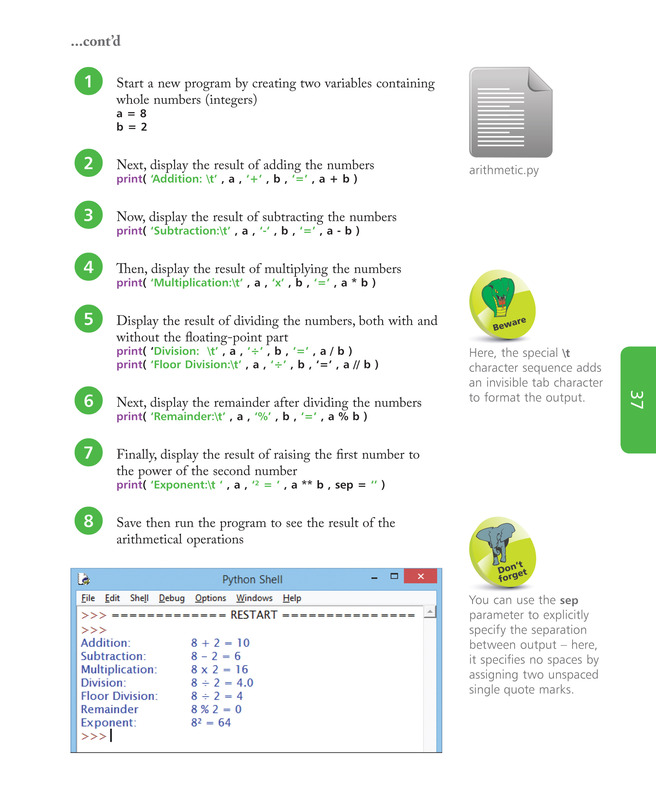 There are complete step-by-step example programs that demonstrate each aspect of coding, together with screenshots that illustrate the actual output when each program has been executed. 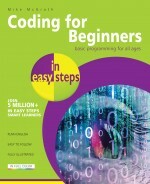 Coding for Beginners in easy steps begins by explaining how to easily create a programming environment on your own computer, so you can quickly begin to create your own working programs by copying the book's examples. After demonstrating the essential building blocks of computer programming it describes how to code powerful algorithms and demonstrates how to code classes for Object Oriented Programming (OOP). 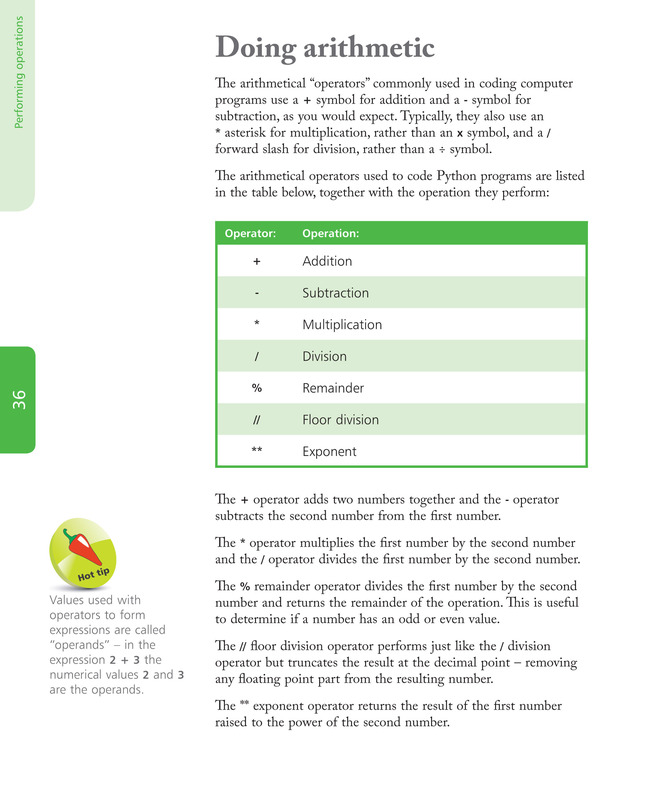 The examples throughout this book feature the popular Python programming language but additionally the final chapter demonstrates a comparison example in the C, C++, and Java programming languages to give you a rounded view of computer coding. 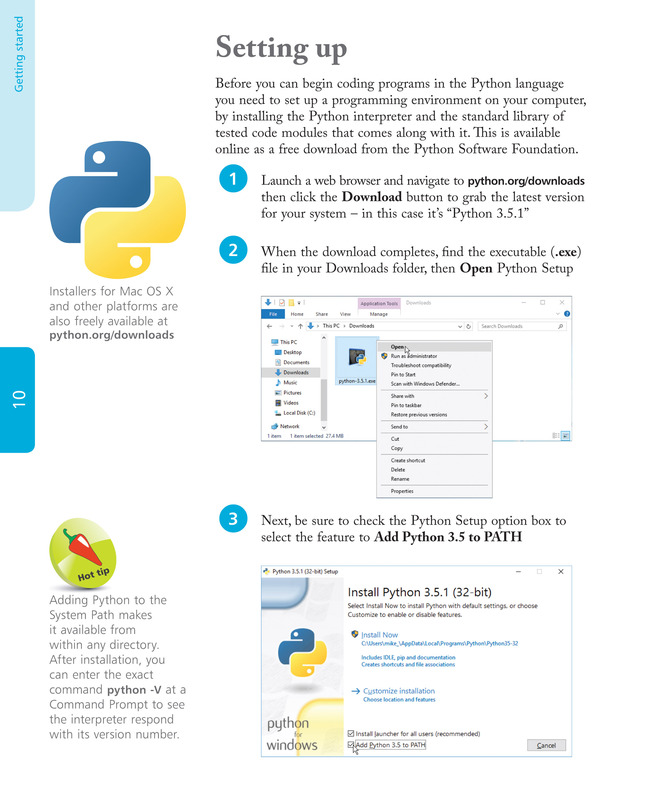 The code in the listed steps within the book is colour-coded to precisely match the default colour-coding of the Python IDLE editor, making it easier for beginners to grasp. By the end of this book you will have gained a sound understanding of coding and be able to write your own computer programs that can be run on any compatible computer. The Python 3.x language is under active development so frequent new releases are made available as small improvements are added to the language and Coding for Beginners in easy steps and Python in easy steps both feature the very latest versions of Python at the time of publication. Python development is one of evolution, rather than revolution, so the examples provided in these books can be used in subsequent releases – simply download the latest version of Python then follow the easy steps.